In addition to our seasonal releases of limited edition shirts and other items, we now have year-round availability of our logo shirt in classic white on black. These are being provided to us by the good folk at Hare & Tabor. Also Available ~ Folk Horror Revival drinking vessels. £8 each + postage & packaging per item for White mugs. £9 each + postage & packaging per item for Black mugs. Postage and Packaging – £4.00 for up to 4 mugs in UK. Check with Steve for overseas and quantity shipping costs. In addition to this sartorial wonder, you can find a veritable cornucopia of gifts and other needful things on our Redbubble page. They come in white on black or, surprisingly, black on white. Also, don’t forget that Wyrd Harvest Press, our publishing imprint, has many fine volumes to enhance your library. Sales profits from our books are charitably donated to the Wildlife Trusts. 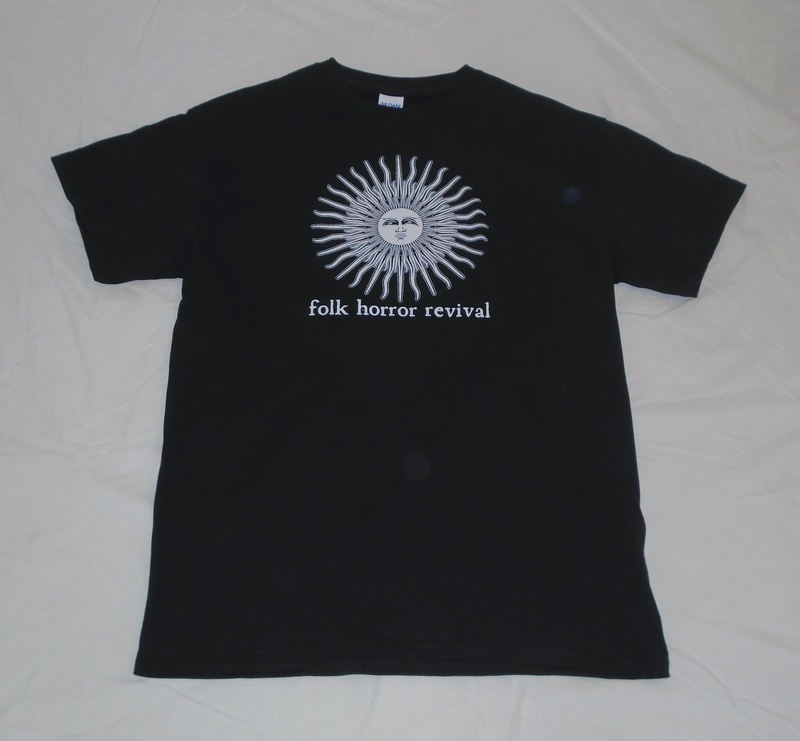 Sales profits from other FHR merchandise go towards funding further live events and projects, not into our pockets.